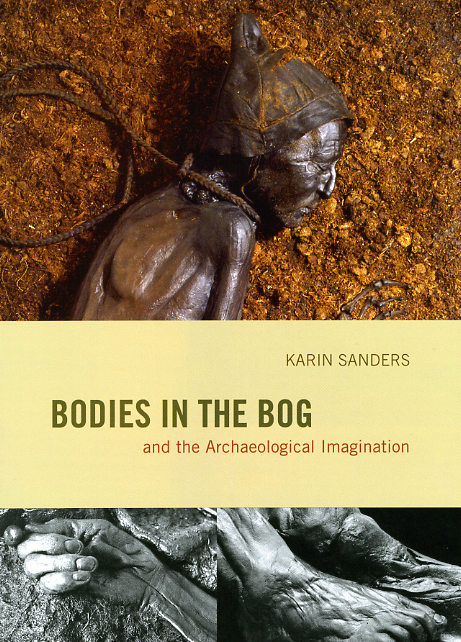 According to Wikipedia, recorded discoveries of bog bodies—human bodies which have been found remarkably preserved by the unique conditions of the sphagnum bogs in which they are found—go back as far as the 18th century. The mystery surrounding the significance of these bodies and the nature of their demise has for centuries provoked a macabre fascination in the public mind, but until the mid-twentieth century, no one even knew how long the bodies had lain in their muddy graves. As Philip Hoare notes in a recent book review in the Telegraph, it was not until Danish archaeologist PV Glob’s 1969 book The Bog People, that many of these bodies were revealed to be human sacrifices dating back to the early iron age. As Hoare writes “sentenced to death for worldly crimes but slain to propitiate the terrible deities, they were strangled with leather nooses or were pinned face down with wooden struts to drown in the mud.” Hoare continues: As a young girl in Copenhagen, Karin Sanders, , was also a fan of Glob’s book. But hers is a decidedly post-modern account, one which seeks . . .
Today marks the 24th anniversary of the Challenger shuttle disaster. On January 28, 1986, 73 seconds into flight, the NASA rocket exploded and disintegrated over Cape Canaveral. The tragedy was especially devastating because schoolchildren in classrooms across the country watched the launch live in support of New Hampshire teacher Christa McAuliffe. What began as a celebration quickly turned into calamity, as the plume of the explosion seared into a generation’s memory. In the aftermath of the disaster, journalists and investigators blamed production problems and managerial wrong-doing. The Presidential Commission uncovered a flawed decision-making process at the space agency, citing a well-documented history of problems with the O-ring and a dramatic last-minute protest by engineers over the Solid Rocket Boosters as evidence of managerial neglect. But there was much more going on behind the scenes. 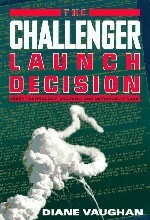 Ten years after Challenger, the Press published The Challenger Launch Decision: Risky Technology, Culture, and Deviance at NASA by sociologist Diane Vaughan. In it, she recreates the steps leading up to the fateful launch decision, contradicting conventional interpretations to prove that what occurred at NASA was not skulduggery or misconduct but a disastrous mistake. In retelling how the decision unfolded through the eyes of the managers . . . The New Republic has just debuted its new online book reviews site, and in the midst of clicking around we were pleased to note that The Book as it’s called, is featuring one of our titles amongst its inaugural reviews. 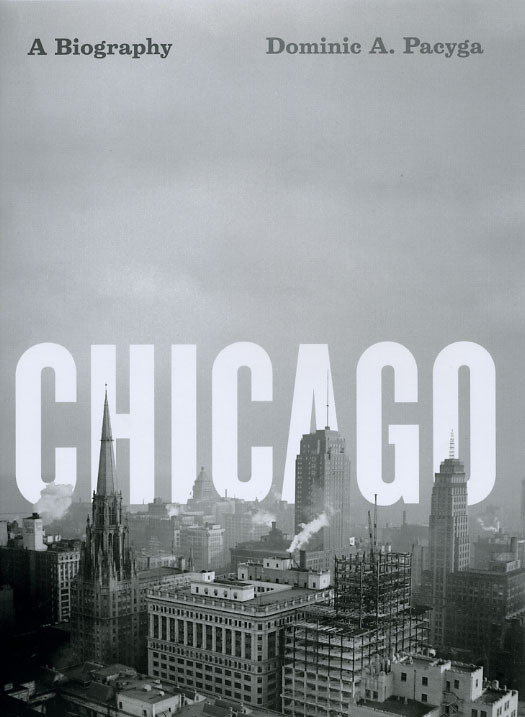 In an article posted to the site last Wednesday, Harvard economist Edward L. Gleaser reviews Dominic A. Pacyga’s Chicago: A Biography—a thoroughly detailed and uncommonly intimate portrait of the city and its inhabitants written by a native Chicagoan. In his piece Glaeser inventories a few of the main topics in the book including Chicago’s rapid industrial growth in the early 20th century, the city’s role in the invention of the skyscraper, and Pacyga’s unique focus on the stories of the city’s working class. Navigate to TNR‘s The Book to read the full review and see a gallery of photographs from the book. . . .
Gina Ulysse, author of Downtown Ladies: Informal Commercial Importers, a Haitian Anthropologist and Self-Making in Jamaica, has been quite busy in the wake of the earthquake in Haiti. Born in Pétionville, a suburb of Port-au-Prince, since her hometown’s recent tragedy, Ulysse has been inundated with calls asking for her insights—as both a former resident and current scholar of Haiti—on the quake, its aftermath, and what it means for the future of one of the poorest and most embattled countries in the Western hemisphere. She has done numerous interviews and op-eds for NPR, the Huffington Post, and PRI’s The World radio program with more to come. Click on the links to navigate to the articles—we’ll update the page as more of Ulysse’s commentary becomes available. 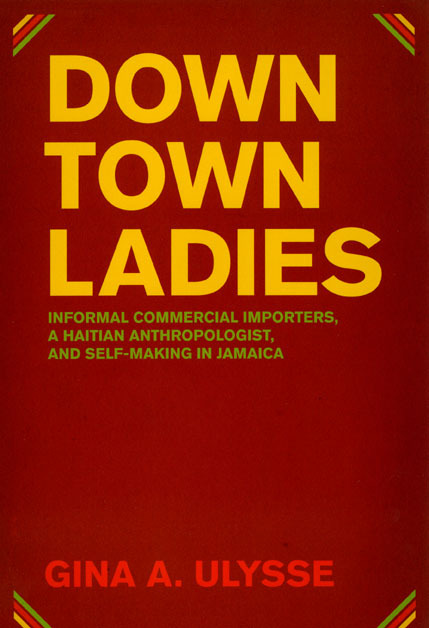 In the meantime find out more about Ulysse’s fascinating study of entrepreneurial women in the Caribbean isle in Downtown Ladies. Update: As promised here are a couple more links to some of Ulysse’s recent writing and commentary on Haiti: From the January 11 edition of the Huffington Post, an article titled ““Avatar,” Voodoo and White Spiritual Redemption” From Duke University’s Social Text journal — “Dehumanization & Fracture: Trauma at Home & Abroad” And listen to this . . .
“What has most distinguished American responses to destruction over the past three centuries or so is a widespread conviction, born of beliefs and experience, that calamities are instruments of progress. 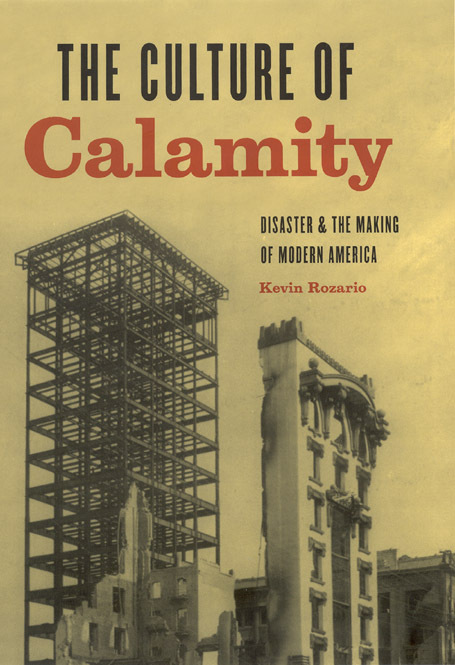 In place of stoic resolve, many Americans (and certainly dominant American ideologies) embrace disasters as a means of escaping from the present into a better future.” —from The Culture of Calamity, by Kevin Rozario Kevin Rozario is associate professor in the American Studies program at Smith College. Also see Rozario’s recent article on the Haitian earthquake for the Wall Street Journal or read an excerpt from The Culture of Calamity. . . .
What can we learn from the Chicago public schools? Elaine Allensworth, co-author of a new study recently released by the Consortium on Chicago School Research, Organizing Schools for Improvement: Lessons from Chicago, was invited on Chicago Public Radio’s Eight Forty-Eight yesterday to discuss the book’s findings. The book tracks the effects over a twenty year period of the radical program of reform put in place by the Illinois General Assembly in 1988—a program which has utilized some controversial tactics to accomplish its goals from the consolidation of students, to staff replacements, to wholesale school closures. 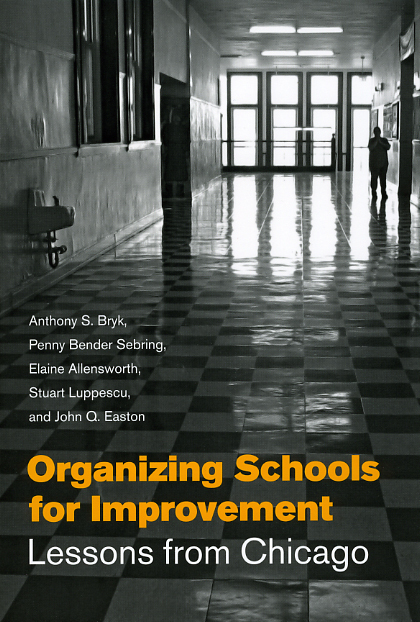 Listen in as Allensworth and others deliver an insightful analysis of the project to reform Chicago’s public school system on the Chicago Public Radio website, then read an excerpt from Organizing Schools for Improvement: Lessons from Chicago. . . . This morning the Supreme Court invalidated the Bipartisan Campaign Reform Act of 2002 (the McCain-Feingold Act) as well as overturning its previous decisions upholding restrictions on corporate spending in political elections. 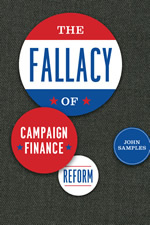 An article in the New York Times states: “The ruling was a vindication, the majority said, of the First Amendment’s most basic free speech principle—that the government has no business regulating political speech.” Back in 2004 we published The Fallacy of Campaign Finance Reform by John Samples which made exactly that argument about campaign finance laws generally and the McCain-Feingold Act in particular. Samples argued that restrictions on campaign contributions not only inhibit the exercise of the constitutional right to speech, but that there is little to no evidence that campaign contributions really influence members of Congress. And that so-called negative political advertising improves the democratic process. And that limits on campaign contributions make it harder for new candidates to run for office, thereby protecting incumbents. Back in 2004 our copywriters wrote that The Fallacy of Campaign Finance Reform “defies long-held assumptions and conventional political wisdom.” Let’s now add that it accurately predicted the future. We have an excerpt from the book. . . .
A poem by August Kleinzahler appearing in the January 7 issue of the London Review of Books recently caught our eye. We were charmed by not only its title, “The Exquisite Atmography of Thomas Appletree, Diarist of Edgiock,” and its unforgettable lines (such as “BALSAMIC PANSPERMICAL PANACEA JUICE OF HEAVEN”) but by its purported source: the 1703 of weather diaries of Thomas Appletree. A young and educated man, Appletree recorded, in meticulous detail and unique poetic style (a “speciall Language” which Kleinzahler honors in his poem), descriptions of the weather over Worcestershire in western England every day throughout the year 1703. The diarist aspired to great renown, writing “I should think my name as immortall” as astronomer Johannes Hevelius, whose maps of the moon had been published in 1647. Alas, he failed to even include his name on his great contribution. 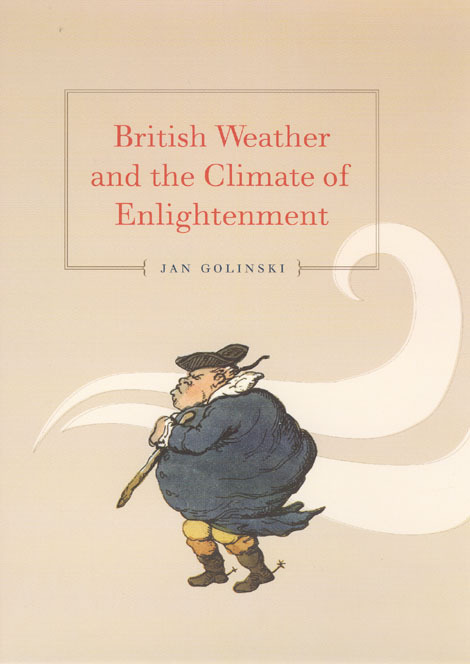 But recently historian Jan Golinski, in researching Enlightenment attitudes about the weather, rescued the diary, identified its author, and set out to subject the document to its first serious scholarly study since its creation. Appletree and his weather diary feature prominently in Golinski’s 2007 book British Weather and the Climate of Enlightenment. In it, he reveals how a new . . .
Haiti—What is the lesson here? Kevin Rosario, author of The Culture of Calamity: Disaster and the Making of Modern America has written an insightful piece for the Wall Street Journal on Haiti’s recent tragedy. Drawing on the topic of his book Rosario’s article offers a brief historical account of how Western culture has interpreted similar disasters in the past and details the rise of what he calls a “dominant narrative of disasters as instruments of progress”—a narrative which, in light of recent calamities like Katrina and Haiti, Rosario notes might itself be starting to fall apart. Navigate to the Wall Street Journal website to read the article, or for a more thorough examination of how disasters have played out in the Western consciousness pick up a copy of The Culture of Calamity, or read an excerpt. . . . 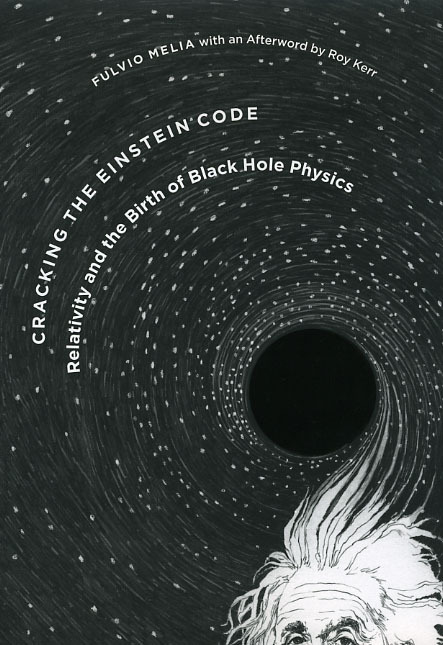 The University of Arizona in conjunction with PBS has posted an interesting video featuring Fulvio Melia on the topic of his new book Cracking the Einstein Code: Relativity and the Birth of Black Hole Physics. Check it out below. More info on the book follows. For decades after its initial publication Einstein’s theory of general relativity, which used six interlocking equations to describe the effect of gravitation on the shape of space and the flow of time, remained largely a curiosity for scientists. Further research into Einstein’s work was hindered by its extreme complexity and lack of empirical verifiability. That is, until a twenty-nine-year-old Cambridge graduate solved its great riddle in 1963. Roy Kerr’s solution emerged coincidentally with the discovery of black holes that same year and provided fertile testing ground—at long last—for general relativity. Today, scientists routinely cite the Kerr solution, but even among specialists, few know the story of how Kerr cracked Einstein’s code. In Cracking the Einstein Code Fulvio Melia offers an eyewitness account of the events leading up to Kerr’s great discovery. Melia vividly describes how luminaries such as Karl Schwarzschild, David Hilbert, and Emmy Noether set the stage for the Kerr solution; how Kerr came . . .